Competitive Edge produces Export Market Development Plans to secure Export Market Development Grants from government. They develop Business Plans for multiple uses, from investment and public listing of companies through to partnering, redefining strategic direction and business planning and growth, market plans for implementation of new product development, existing product growth, market diversification/ expansion, and supply and value chain management and networks. Competitive Edge has consulted to Austrade, United Nations, Asian Development Bank, Commonwealth Secretariat in the UK, the American and Canadian Embassies and other foreign embassies, and worked with the governments of countries in the South-East Asian, Africa, Europe, Pacific Rim, and Northern Asian trading zone. Competitive Edge has relevant experience in Africa, Europe, Canada, America, and in the Asia-Pacific Basin. 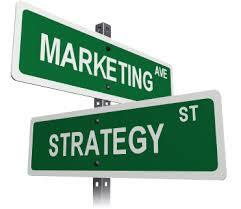 Competitive Edge has an eCommerce and eMarketing division for domestic and international markets. We can create and implement integrated online communication platforms supported by traditional marketing. Visit this site for more information (www.competitiveedge.com.au).